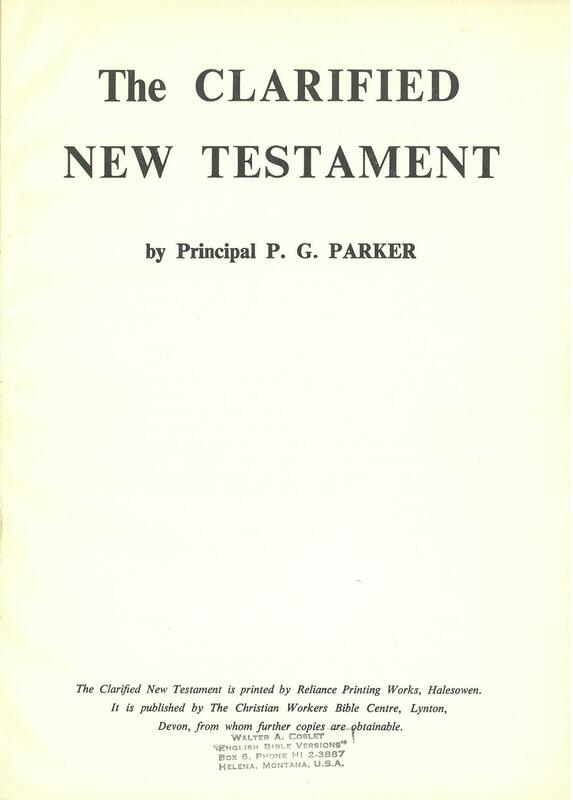 Click here for sample verses from the version by Principal P. G. Parker. 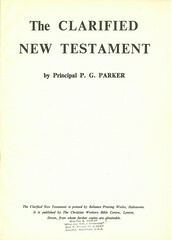 In this version Parker mixes "translation, paraphrase, interpretation, and commentary" without indicating which is which. It is difficult to tell where the translation ends and the interpretation and commentary begin. On the front cover Parker says this is "so that the Student is able, in simple language, to understand the original thought." Parker does not provide any preface or explanation for his method except a brief paragraph on the front cover and a short paragraph on the Contents page explaining that he shift between modern speech and "elevated" language depending on his "personal feeling." 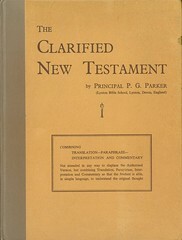 Title: The Clarified New Testament by Principal P. G. Parker. 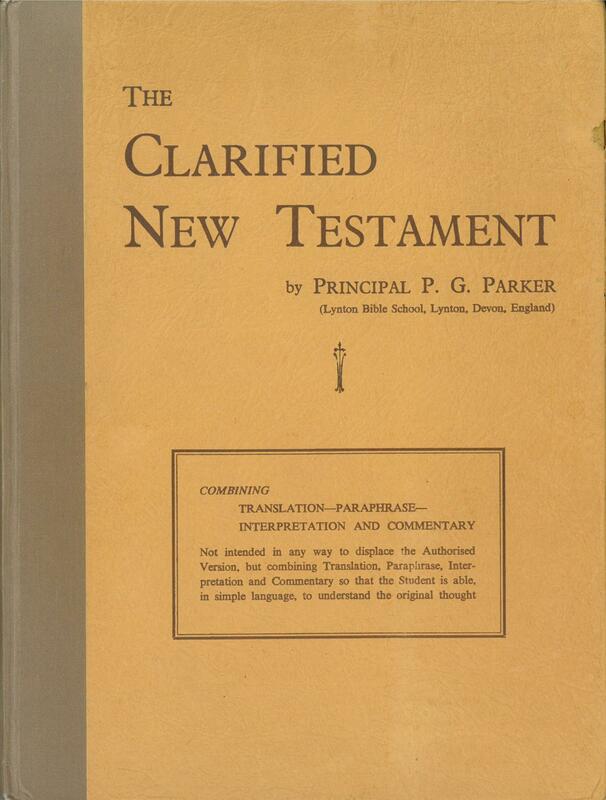 The Clarified New Testament is printed by Reliance Printing Works, Halesowen. It is published by The Christian Workers Bible Centre, Lynton, Devon, From whom further copies are obtainable. Date: (undated) A letter from the Christian Workers' Bible Center says this was published in September 1955. References: Chamberlin 583-4, Taliaferro-EELBV 7950.